The Berghoff Restaurant is a Chicago classic, serving German-American style cuisine and culture since 1898. With traditional Berghoff dishes, contemporary American fare, seasonal menus, vegetarian and gluten-free options, it's tradition... with a twist. Enjoy a true Chicago experience in this comfortable, historic atmosphere. With its private labeled beer and root beer, there's something for everyone at the Berghoff. Restaurant is open for lunch and dinner, Mon-Fri 11am-9pm, Sat 11:30am-9pm. Lower Level Cafe is open for lunch, Mon-Fri 11am-2pm. One of the oldest family-run businesses in the nation, it is now run by fourth generation, Peter Berghoff. 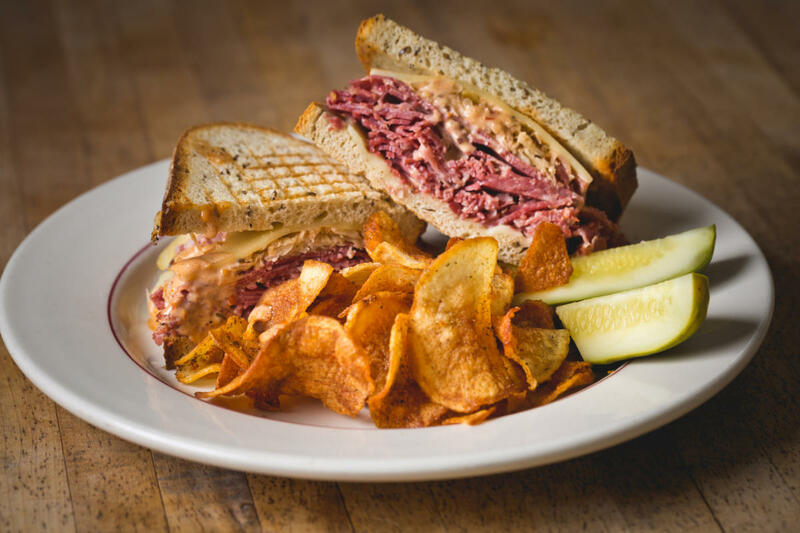 His great-grandfather, Herman Berghoff, opened the Berghoff doors as a men only saloon and made his start serving free corned beef sandwiches with the purchase of a stein of Berghoff Beer. Surviving Prohibition and obtaining Chicago’s first liquor license, the Berghoff declared itself a Chicago staple. Throughout the years, the Berghoff expanded into a full-service restaurant and continues to set the bar for casual dining experiences. At today’s Berghoff, menus have evolved to add newer, lighter and more contemporary dishes, but it’s still the same old Berghoff, down to the famous Berghoff Root Beer. Started in 1985, the Berghoff hosts its annual Oktoberfest, one of the city’s best outdoor festivals. Private Dining: Host your next event at the historic Berghoff, located in the heart of Chicago's loop. Choose from one of our four private dining rooms, each with its own function and feel. The Berghoff is able to accommodate groups from 12-200 for intimate gatherings, celebrations, banquets, business meetings, presentations and much more. Special group rates and packages available.